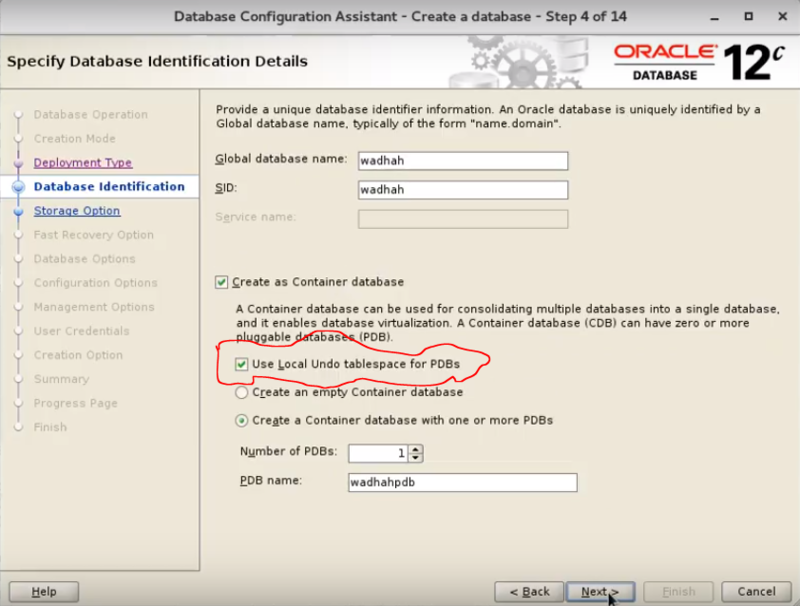 This article explains how to disable the new feauture of Oracle database 12cR2 “Local undo tablespaces for PDBs” and to drop the UNDO tablespaces for PDBs. Drop Local undo tablespaces for all PDBs. When we create the Oracle database “wadhah” as container,we create a PDB “wadhahpdb” with the features “Local undo tablespaces for PDBs”.